The Suzuki VanVan 125 is a something of an enigma — a balloon-tired, retro-styled 125cc machine that punches well above its weight in the fun department. 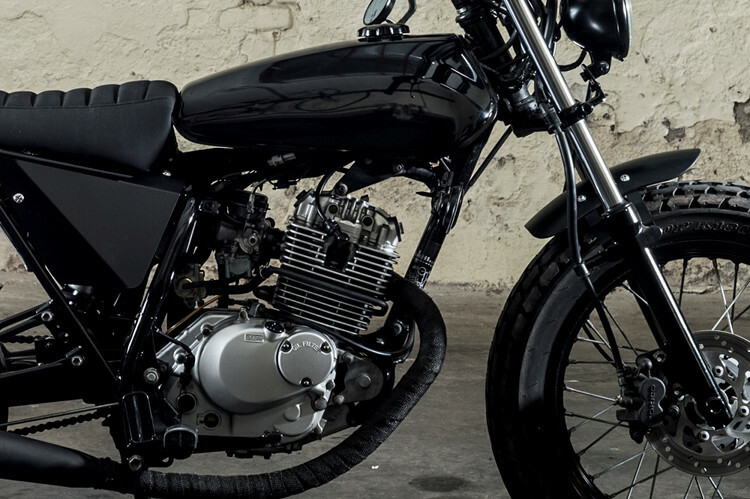 The air-cooled, 12-hp SOHC engine is capable of pushing the bike to a top speed of around 60 mph, and the bike truly excels as an urban curb-jumper or rural runabout. 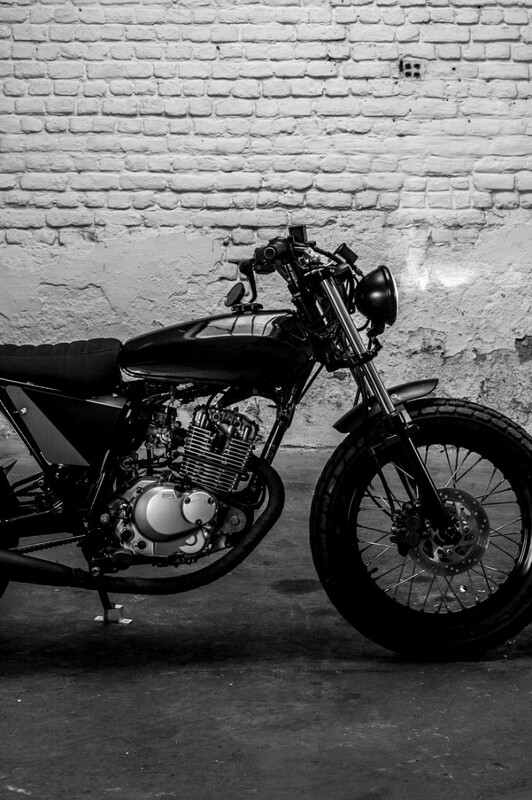 Enter the Brussels-based workshop of TOMA Customs, founded by Thomas Jeukens — a former strategy manager who gave up his job at a large consulting firm to live his passion, transforming motorcycles into works of art. The Suzuki RV125 seemed the perfect platform for a customer who wanted a small capacity bike with a strong personality, which could be ridden both in town and the countryside. Interestingly, the crew originally felt that the rear balloon tire was a weak point of the bike, but ended up switching gears, making it the most visible element of the build. We’re so glad they did. 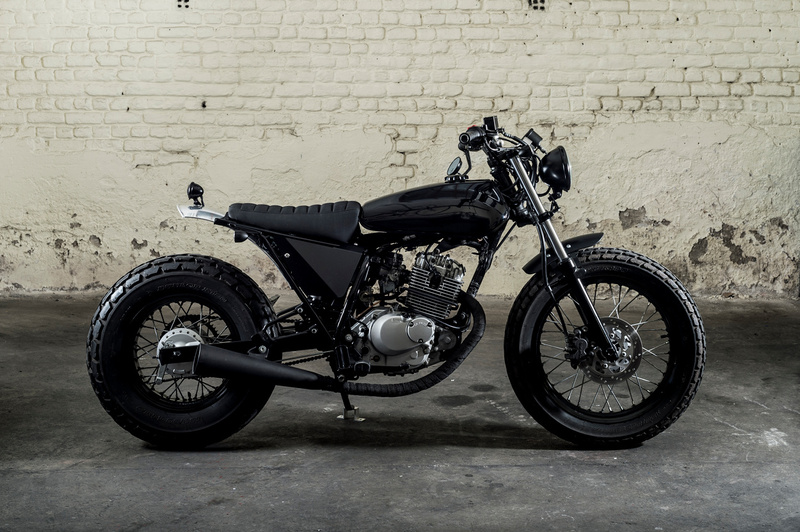 Below, we get the full story on this The result is TOMA #11, a VanVan tracker that’s minimalist yet bold, retro yet modern. 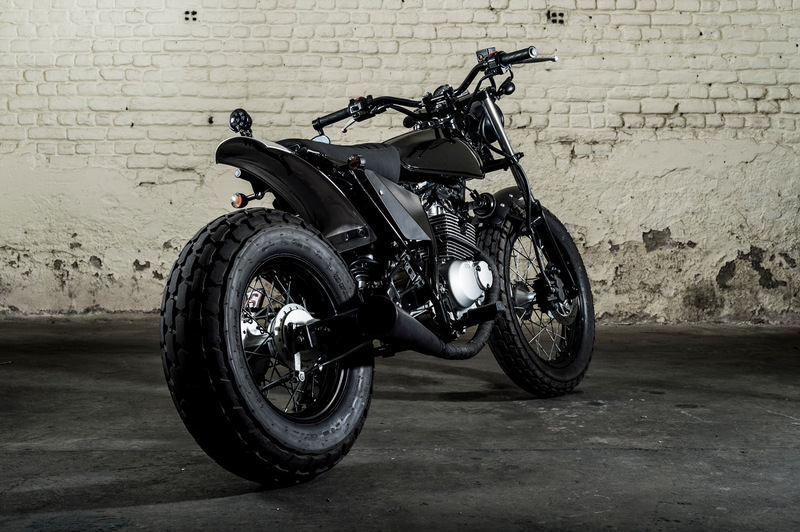 TOMA is a Brussels-based custom workshop. 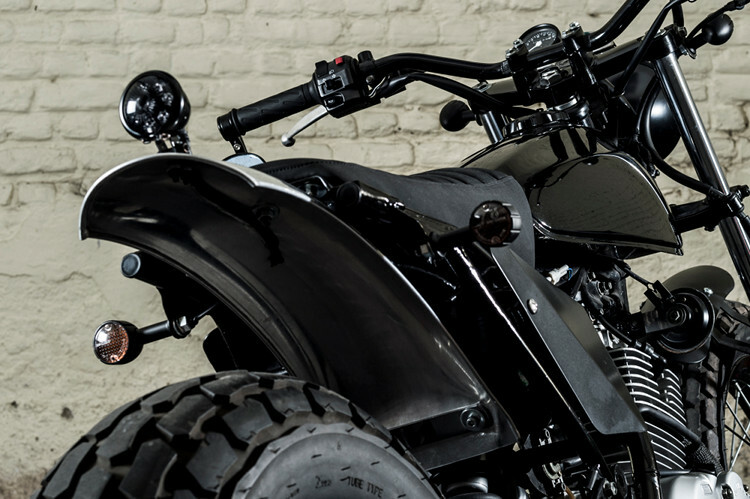 We transform, customise and hand finish motorcycles to create unique and personalised machines. Our artistic approach strives to extract the best potential of each bike. We aim to create unique, one-of-a-kind machines, with a clean and efficient style. I’m the owner of TOMA CUSTOMS, my name is Thomas Jeukens. 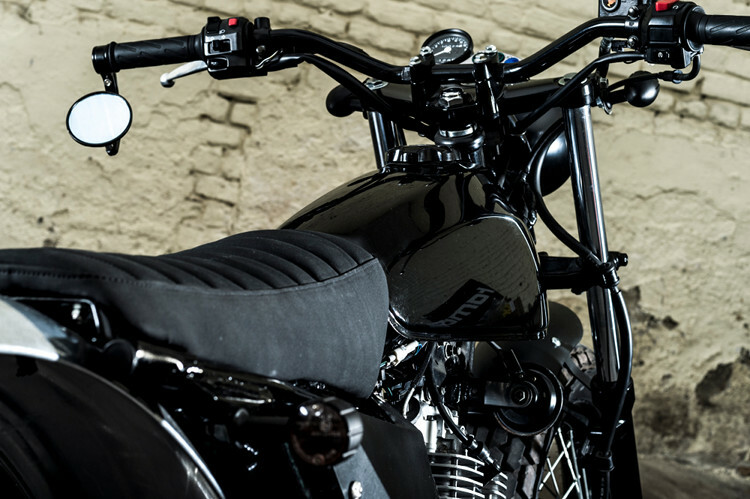 A little bit more than one year ago, I decided to leave my job as Strategy Manager for a big consulting firm to open TOMA CUSTOMS and fully live from my passion, transforming and customising motorcycles. Mixing mental and manual activities generates a level of freedom and satisfaction that I’d never experienced before. Working as a manager at a big consulting company enriched me personally and professionally, while it also made me grow and evolve as a person. Yet, I felt it was time for me to achieve one of my dreams and to fully live my passion: combining my intellectual abilities with creativity and manual labor. That’s why I decided to turn my passion into my job. 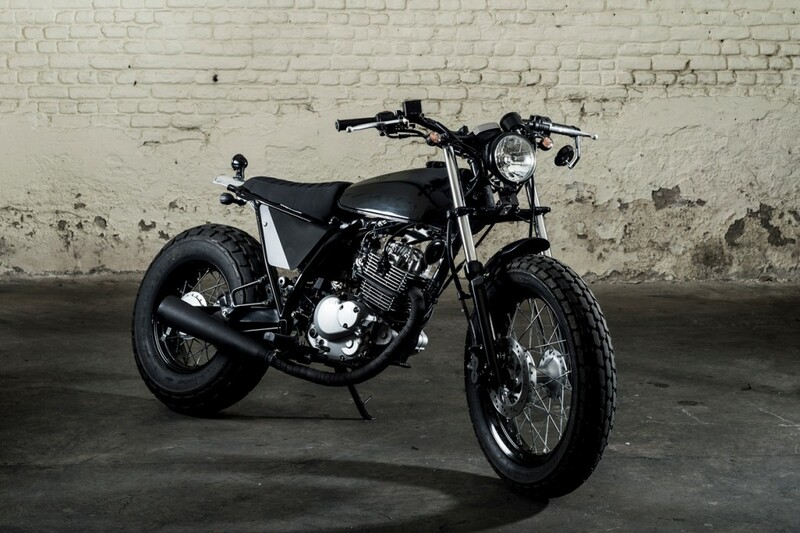 Our work mainly focuses on tracker, scrambler, and bratstyle projects. We’re practically always work starting with an older, existing base and then begin adding new parts (tanks, wheels, handlebars, lights). Given the complexity of certain projects, we often create and adapt some of these parts ourselves, especially when they’re metal. Before we even get going, we spend a lot of time with the future-owners to see where they come from, what their interests are, where and how they grew up, their tastes, what they’ve been doing in life etc. 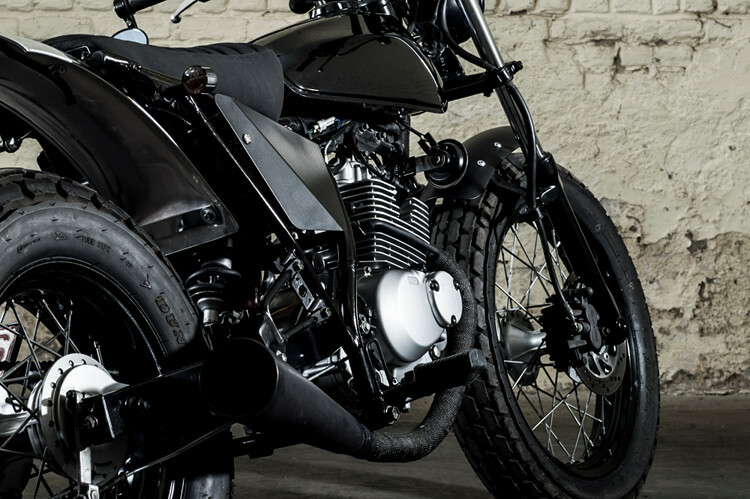 All these elements, along with a ton of aesthetic and artistic research, allow us to create the motorcycle of their dreams. Our customer wanted a motorcycle that is easy to ride in town and allows from time to time to go off road in the countryside. The briefing was not exhaustive but he wanted a motorcycle of small capacity, easy to drive and with strong personality. 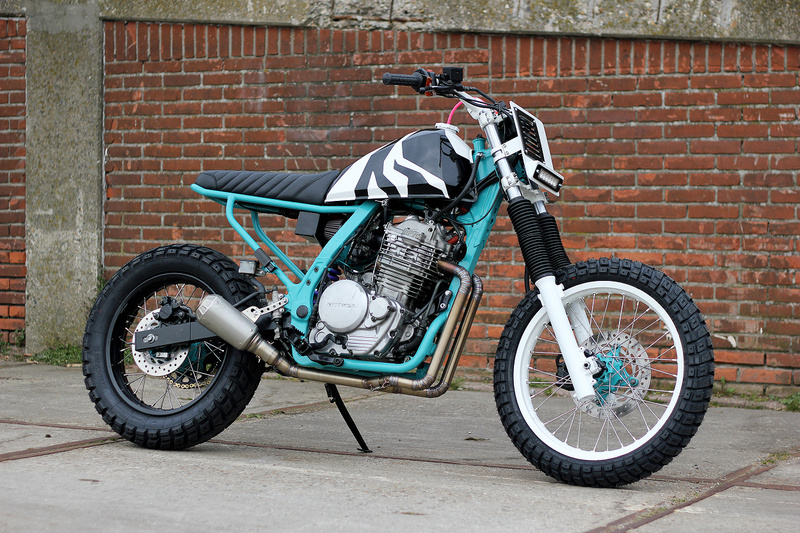 It is not easy to tackle a transformation of a 125cc in order to make it a custom bike with strong character. Our workshop is more used to work on motorbike with medium or large engines. But we love the challenges. After several meetings to understand the customer’s desires, we made several transformation proposals, and finally agreed on the Suzuki vanvan125 model and a general guideline for the bike transformation. After that, the client gave us “carte blanche”. The most important first step, according to us, was to modify the general line of the bike and rework the “v” line formed with the tank and the original huge saddle. So, we straightened the tank and made a custom seat base that we then sewed by our workshop to have the new general line of the bike. Then after a lot of thinking about the rear tire, which for us was initially one of the weak points of the original bike, and that we had proposed to change, we decided to finally keep it and do exactly the opposite. So, we made it the most visible possible. 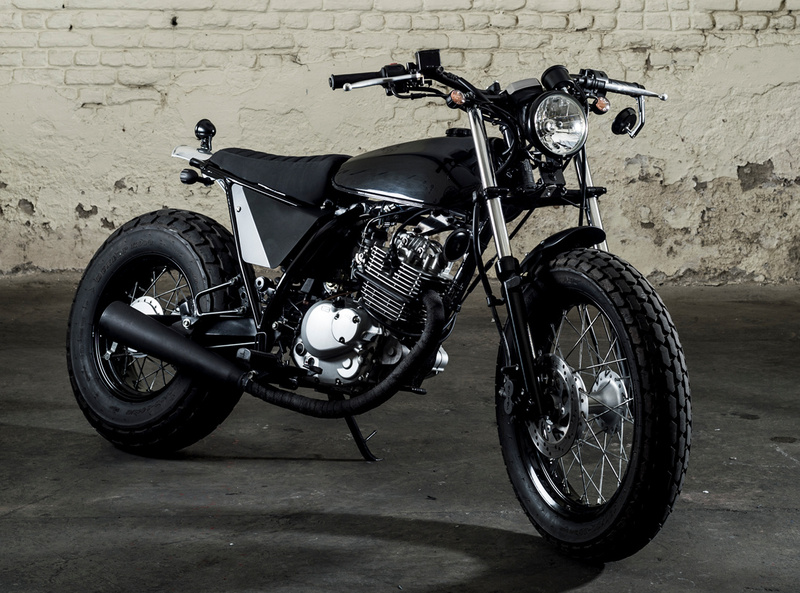 It was at this point that we completely changed the direction of the project — we decided to make the project as minimalist as possible and visually lower and more compact than the original bike. So, we modified the muffler to get it under the bike, lowered the handlebars and removed any original accessories that were superfluous. 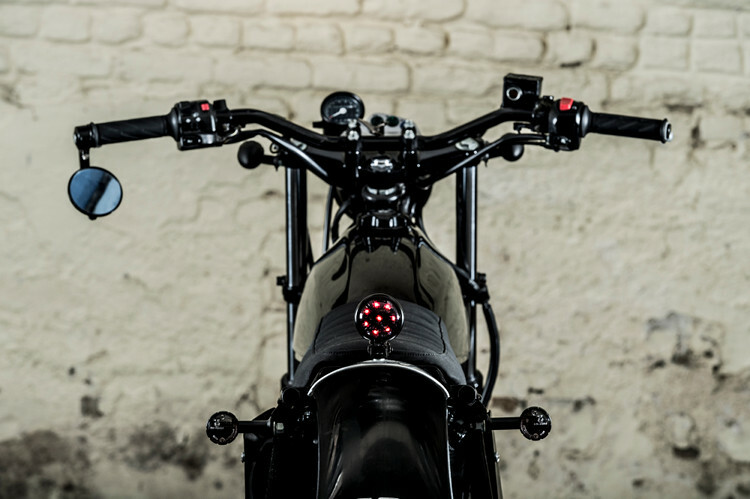 All electronic components have been modified to make the motorcycle more modern and minimalist and we tailored front and rear mudguard as well as add side covers. 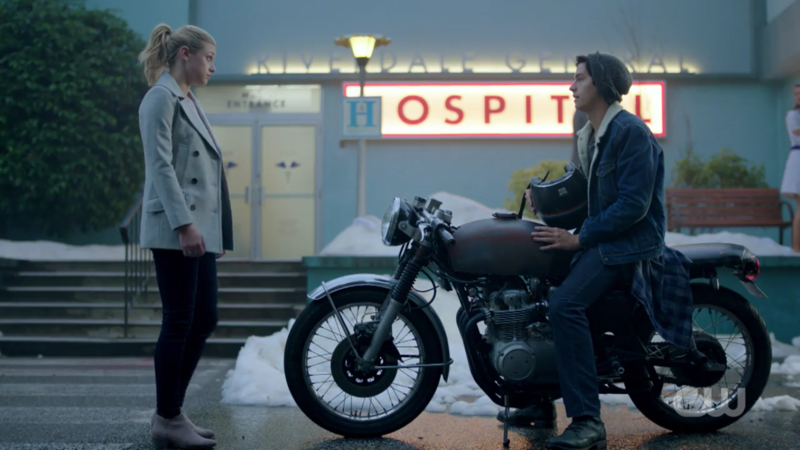 What is the Motorcycle in Riverdale?